As work gets under way on the Bruce Highway Gympie by-pass project this morning, Gympie Aboriginal land rights activist Wit-boooka faces penalties for trespassing on the Victory Heights section of the planned route, which he claims is sacred to his people. The property, now owned by the Transport and Main Roads Department, is on a sandstone outcrop known as Rocky Ridge. It has also been branded the "Gympie Pyramid” by people claiming it is an artificial structure built by ancient visitors. 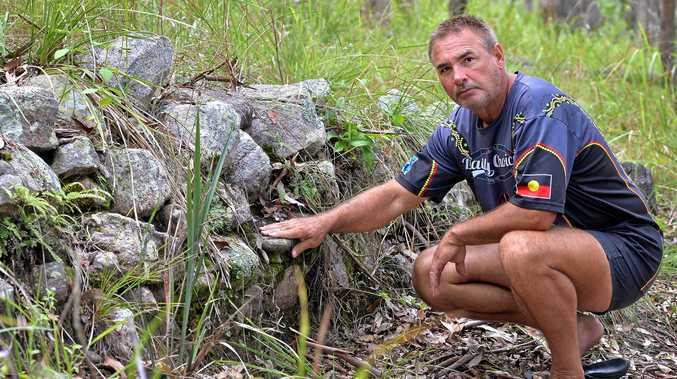 Wit-boooka, originally charged on other matters under his registered or "anglo” name, Gary Tomlinson, told Gympie Magistrates Court yesterday that Wit-boooka would plead not guilty (under that name only) to the charge of trespassing at Rocky Ridge on November 26. Magistrate Chris Callaghan said this would not be a problem, as Wit-boooka is the name under which he has been charged. The site, next to the railway line on the Gympie Connection Rd is part of or close to the planned new route for the Bruce Hwy from Traveston to Curra. 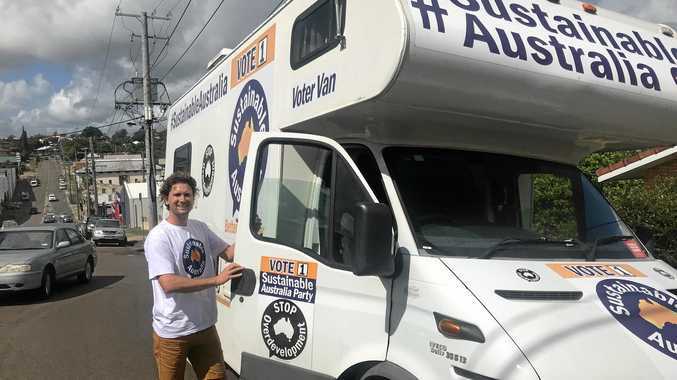 Transport Minister Mark Bailey has said his department took Aboriginal land issues very seriously and had consulted closely with recognised Native Title claimants in the area, obtaining their agreement to the planned route. He said department officers would pay close attention to the site in order to save and preserve any relics discovered. Mr Callaghan adjourned the case to April 15 for a review of the matter.